A gun and ammunition was also found in the raid. COCAINE, HEROIN AND a gun have been seized in a house in Sallins, Kildare. 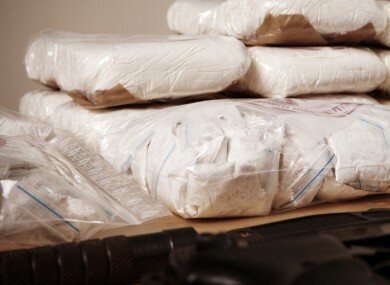 Around €3 million worth of heroin and cocaine were seized along with an assault rifle and ammunition. The raid happened yesterday evening. Gardaí from the Drugs & Organised Crime Bureau supported by the Special Crime Task Force carried out the operation. Tánaiste and Minister for Justice, Frances Fitzgerald said, “The ongoing operation at Sallins underlines again the fact that An Garda Síochána are being relentless and resourceful in tackling the menace of organised crime gangs. They are determined to hit those gangs where it hurts – to deprive them of their profits and to bring them to justice. Email “Cocaine and heroin worth €3 million seized in Kildare house”. Feedback on “Cocaine and heroin worth €3 million seized in Kildare house”.